Prior to forming ASM, Matt accumulated five years of experience in the self storage industry and has held a variety of positions, enabling him to amass extensive knowledge of the industry. 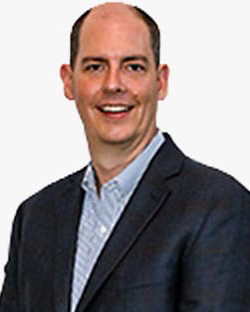 Starting off as an assistant property manager with a national self storage company, Matt rapidly advanced into management, holding a district manager position for two years, where he supervised 15 self storage properties. Serving as a financial analyst for the next year, he was able to hone his analytical skills before moving on to a highly visible position as Manager of Contact Center Operations, where he supervised a staff of 30. Matt holds a BS in management from Southern Illinois University and an MBA from the University of Memphis. He is currently pursuing the CCIM designation. Matt is primarily responsible for property management, marketing, and operations. Can you guess which fact about Matt is false? Email him at matt.bailey@absolutemgmt.com for the answer! Matt is a USA Table Tennis Grand Champion. Tool is Matt’s favorite band. Our 5X5 size is a great and economical way to free up space in your home. With approximately 25 square feet of space, this unit is roughly the size of an average closet. A unit of this size is perfect for reclaiming your bedroom closet, freeing up a work area in the garage, or hiding presents from someone special. A 5X10 has approximately 50 square feet of space making this unit extremely useful for a diverse list of needs. Comparable to a walk in closet, this unit is perfect for storing everything from holiday décor to lawn equipment. Children home from college? Tired of that treadmill sitting unused in the den? Then the 5X10 is just what you need. Need to free up space in your office or business space? A 5X15 with approximately 75 square feet is just what you need! Perfect for storing old files and important documents, with enough room left to leave a couple pieces of extra equipment inside too. This is also great to store your hobby supplies, motorcycle, or anything else that does not have a real ‘spot’ within your home. One of our most popular sizes, the 10X10 is comparable to a medium size storage shed with approximately 100 square feet of space. This unit can storage furnishings and appliances for a one bedroom apartment. Use this unit to clear out the guest bedroom, take back your garage from clutter, or to store non-essentials after moving into a new house. Our 10x15 size is a great option for clearing all of the clutter from your entire home. With 150 approximate square feet, you can empty the excess from your garage, attic, shed, and take your home back! This unit is excellent for spring cleaning and small moves at an affordable rate. The size of an average single car garage, with approximately 200 square feet, the 10x20 is a popular choice for family moves. This unit can fit the contents of a three bedroom house, an average size car, or large seasonal equipment. With a 10x20 there is no need to run out of space on your next move, nor do you have to leave that boat outside to the elements! The 10x25 has about 50 square feet more than a garage putting it at approximately 250 square feet total. This unit is great for project vehicles or storing four bedroom house furnishings. A 10x25 is also ideal for small businesses to keep retail inventory or large machinery. With 300 approximate square feet, the 10x30 unit is perfect to help small businesses get going. Whether you are storing mechanic equipment, home construction supplies, lawn company gear, or event production equipment, the 10x30 is unsurpassable in helping your business thrive. This unit is also great to store large projects such as boats and small campers. Covered parking is a great solution to store your boat, RV, or car under a shield to protect vehicles from sunshine, rain or hail.Some covered parking options include electricty as well. Call a facility near you to find out what options are availble. Our enclosed parking options provide security from rain, sunhine, hail and the added feature of private access allowing only the lesee access to the stores boat, RV, or vehicle. Talk with one of our experienced property managers for details. Uncovered parking is the most available parking option at most storage facilities. This lot-type parking allows the most flexibility parking solution allowing small or oversized vehicle, boat, and RV parking.